Use this delicious chocolate glaze—or icing—on slices of pound cake or on plain butter cookies or bars. Make it thin to drizzle over a cake or doughnuts, or thicken it with extra powdered sugar for a more substantial coating. This recipe will make enough chocolate glaze to drizzle over a loaf cake or Bundt cake, and it is easily doubled. If you are looking for a thin chocolate icing or glaze that will become firm, not sticky, this is an excellent choice. The icing sets to make a perfect coating. You may know powdered sugar as confectioners' sugar or icing sugar. If you don't have any handy, it's even possible to make your own from granulated sugar using your blender or food processor. Combine the butter and chocolate in a saucepan over low heat. Cook, stirring until melted. Alternatively, put the chocolate and butter in a microwave-safe bowl and microwave on medium for about 1 minute. Stir and continue to heat for about 15 seconds at a time, stirring between intervals, until the chocolate and butter are melted and smooth. Measure the powdered sugar and then sift it into a small bowl. Stir the sifted powdered sugar into the melted butter and chocolate. Beat the mixture, adding small amounts of boiling water until thinned as desired. If you happen to find it too thin, add a little more powdered sugar. If too thick, add more hot water. 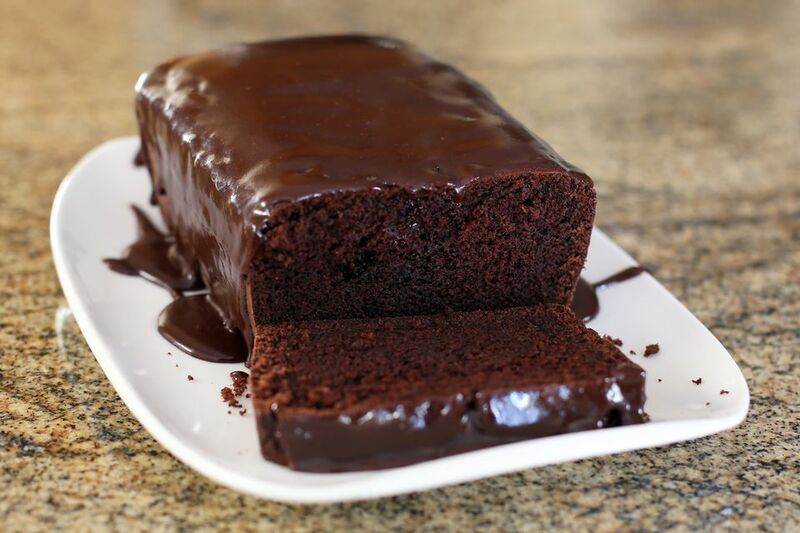 Drizzle the chocolate glaze over cake or use it as a cookie or brownie icing. It makes an excellent glaze for cream puffs, eclairs, or doughnuts. If it stands too long, it will thicken. Keep it covered with plastic wrap if you are not using it immediately. If it thickens, put it over the heat to thin it out again. If you have to cover a frosted cake and don't have a cake cover or carrier, insert toothpicks in the cake over to top and sides of the cake, spacing them about 4 to 5 inches apart. Place a few sheets of plastic wrap or foil over the cake, tucking the ends under the plate to cover it completely. To freeze frosted cookies or bars, arrange them on a baking sheet in a single layer; freeze and then transfer them to a storage container. Label and freeze the cookies for up to three months. A white film on unsweetened chocolate is called "fat bloom." It is caused by temperature fluctuation and is perfectly fine to use in recipes. For a no-cook version, you can use cocoa powder and substitute milk for the boiling water. Keep the ratio of powdered sugar to cocoa powder at 3-to-1. Butter is not needed with this version. Garnish the glazed dessert with colored sugar or sprinkles before the glaze hardens. Add 1/4 to 1/2 teaspoon of mint extract for a chocolate mint glaze, and then sprinkle the glazed cake or dessert with chopped peppermint candies, if desired. For some mocha flavor, add about 1 teaspoon of espresso powder or instant coffee granules.